The idea of getting professional baby photos done has always seemed a bit cheesy to me. I am proud of our little babies, but the thought of putting them in a cabbage with an oversized bow on their heads and their arms neatly crossed seemed faintly ridiculous. 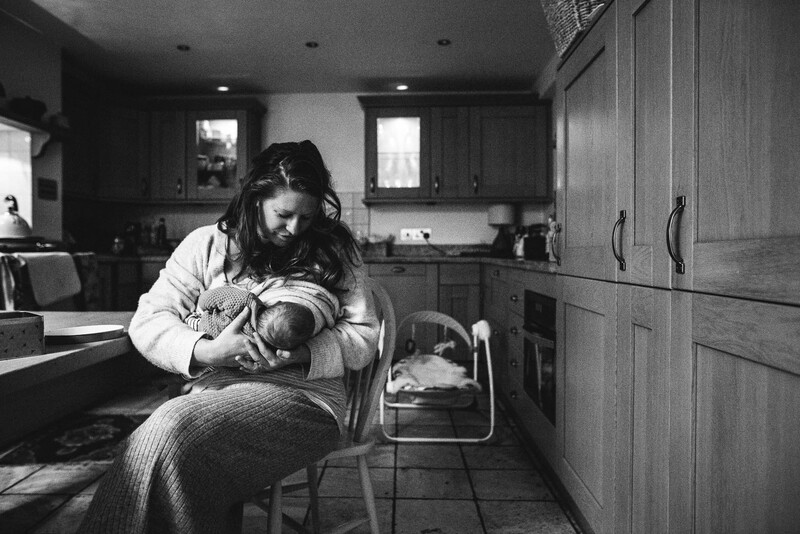 Equally, the weeks post-birth are not those when a woman feels at her most beautiful, and I didn’t really want someone taking photo after photo of my wobbly bits, my tired skin, my sleepy eyes. R also hated the idea, and every time I muttered something about… “proper photos”, he’d shut the idea down with a big old NO. So I never really let the idea take hold. Until one morning when scrolling through Instagram I came across a beautiful picture of a friend of mine from a birthing class, holding her adorable newborn baby in her arms, her husband planting a kiss on her cheek. The look on her face gave me goosebumps, the pudgy squidge of her little boy was heartmelting, the look of love, pride, and awe on her husband’s face made me feel quite choked up. It was beautiful. It was a true, glorious moment of new life and new families captured with sensitivity and understanding. And it changed my mind. A week later, I found myself dragging a hairbrush through my unruly barnet, vaguely stabbing some mascara in the direction of my eyelashes and barking orders at Elsa to “SIT STILL” while I plaited her hair. Chui said she wanted to shoot us at home, somewhere familiar, and to capture family life and our day-to-day, so my messy kitchen and toy strewn sitting room were to become her studio. She had already sent over some pointers for the shoot – dos and donts of what to wear and what to avoid, and reassuring words about how she wanted us to feel – calm, natural, at home. Easier said than done. And yet, when Chui arrived she instantly diffused our nerves and set about making us all feel wonderful. I am sure that we looked tired and bedraggled, hastily dressed and slightly shell-shocked. And I’m also sure that dust and dirty dishes were everywhere – but somehow she made us not notice them. She was positive, warm and friendly, complimenting our home, our babies, us. 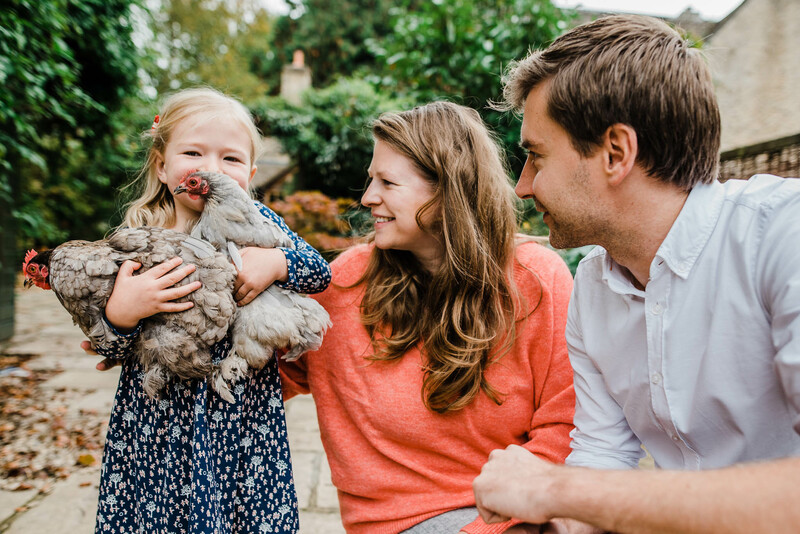 Elsa, took to her instantly, grabbing her hand and dragging her into the garden to see the chickens. Chui promptly began snapping away, and within moments what had seemed like a very weird situation became completely natural. And so we just got on with our day. I made tea and changed a nappy, when a baby cried I fed it, when it fell asleep we photographed it. We made snacks for Elsa and coffee for Chui, we took a dinosaur for a walk in a pram, jumped on beds and played with a train set. We stood in the gentle morning light while Chui took close ups of the boys snoozing, and curled up on the sofa together for a family cuddle. These are things we do all the time anyway, so, for one morning, Chui just became a part of them. 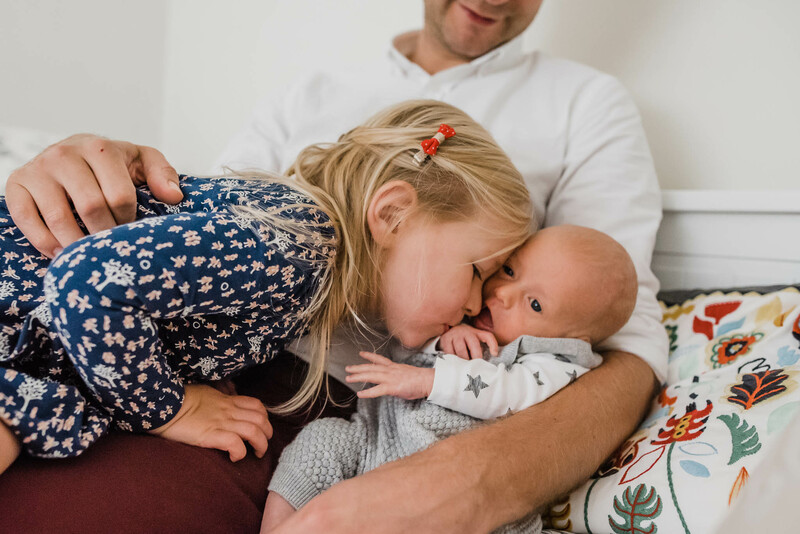 Her natural, easy way with children was a godsend, she chatted happily to Elsa, making up games and playing with her; she held the twins when we needed an extra pair of hands, or confidently lay one of them in the cot so she could photograph him. She cuddled, cajoled, giggled and smiled at the boys to ensure she got the very best out of them, and in turn repeatedly reassured and complimented us all. All this effort and commitment to supporting us throughout the shoot shows in the photographs she took of us. They are beautiful. 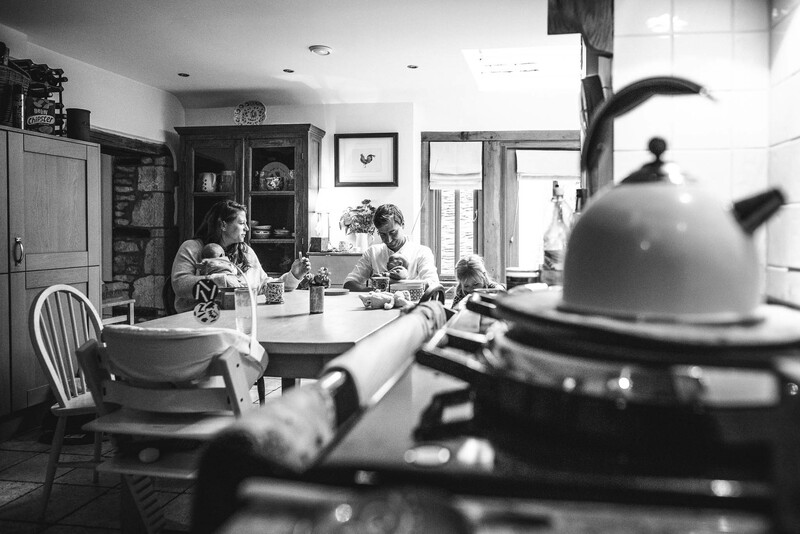 She has captured the full gamut of family life – from giggles and toast at the kitchen table to tiny baby feet in a slither of light through a window. There is movement and happiness, there is sleep and quiet. 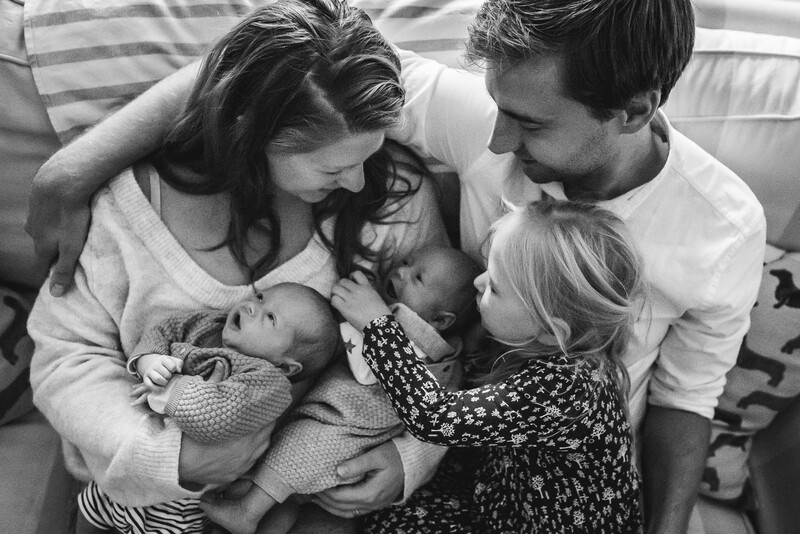 There are shared moments between parents, gentle gazes between siblings, sleeping babies and smiling toddlers. Chui found colour and warmth as well as crisp lines and quiet corners. She made me look anew at our house, the spaces in it, the look of it from different angles, its light and its colour. Because she loves to work with natural light all the pictures are infused with a clear, authentic look, as if the photographer just popped in for the briefest of moments. We could not have loved having our family photos taken by Chui more. She has such a natural eye for the special moments that no-one else sees and can get the best out of the most camera-shy subject. You can imagine that we felt our life at the time was a bit chaotic, messy and crazy – but she made it look happy and warm and joyful. 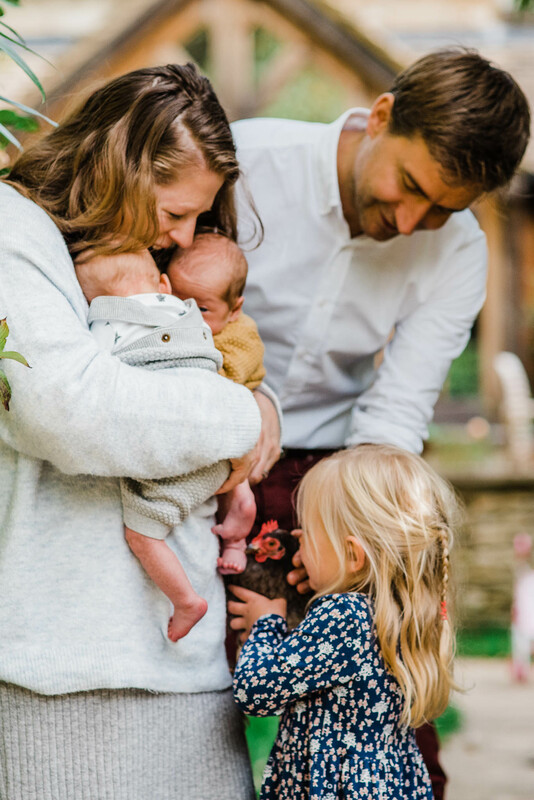 Having new babies can be hard and tiring, there is self-doubt and uncertainty, emotions are frayed and the days can feel long and endless – but she made us all look – and feel – like a family. All the photos Chui took were extraordinary, our house looked beautiful, we looked happy, our children looked adorable. It was a day I won’t forget – and we have the photos to always remind us. 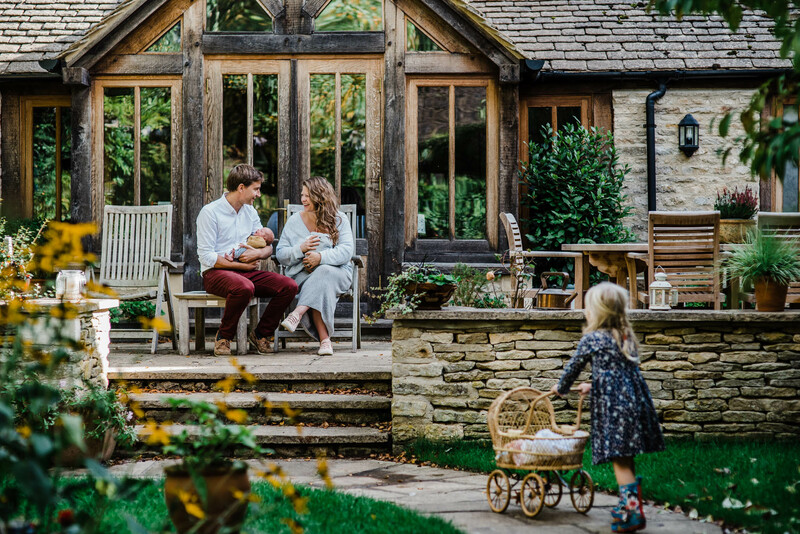 Chui is a natural light family photographer, working in and around the Cotswolds. Find her website here.